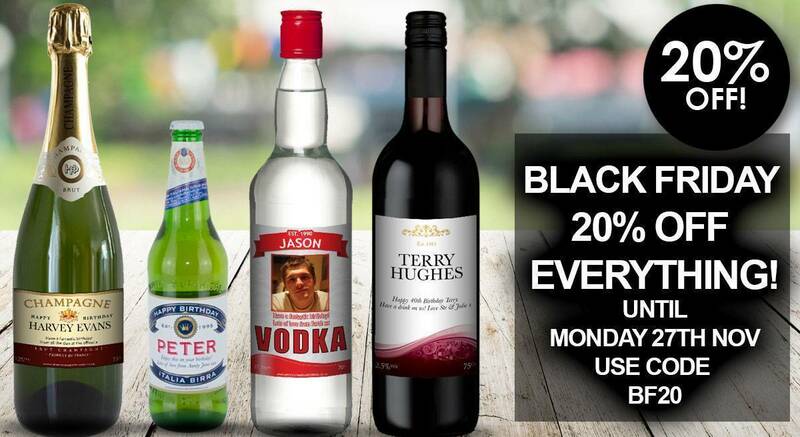 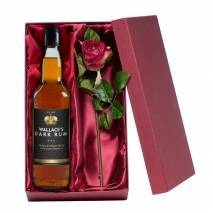 These gift boxs combine an excellent personalised bottle of alcohol that would be a delicious accompaniment to any celebration, whilst the red rose is a delicate addition that will delight the lovely lady in your life. 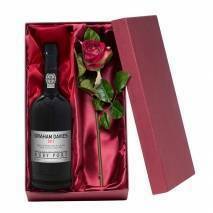 It’s no secret that this velvet rose will outlast any real rose on Earth. 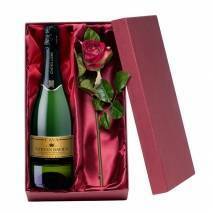 This luxury flower emanates longevity; you’re giving a special someone a loving gesture of your love that will stay with them forever. 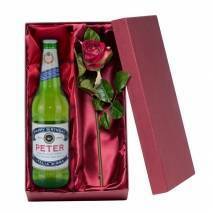 Why wouldn’t you choose a rose that they can keep for a life time? 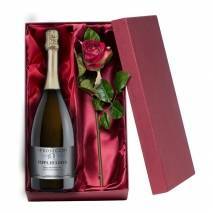 These gifts are the perfect solution to add a touch of sparkle to any special occasion, such as Valentine’s Day, a birthday or a wedding. 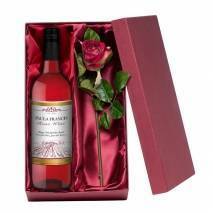 A wonderful commemorative gift that is perfect for Valentine’s Day and key landmark celebrations such as weddings, a 50th Birthday, Retirements and more. 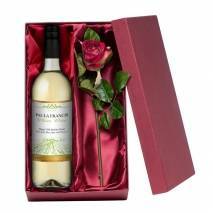 Both the alcohol bottle and red rose come supplied in a premium satin lined gift box, guaranteed to impress that special person.